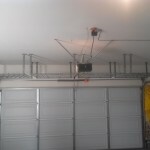 Installing new garage cabinets and overhead storage racks are one of the best ways to get your garage organized. 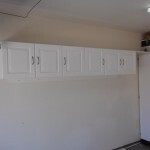 SJS Handyman has the experience it takes to professionally install new cabinets and storage racks in your home. To get more information on garage organization for your home, please call SJS Handyman at 760-580-5224 or submit a quote request using the form to the right. We’ll take care of you. We’ve helped many homeowners and would appreciate the opportunity to serve you as well.